Maria started singing when she was 12 yrs. old and has never looked back. 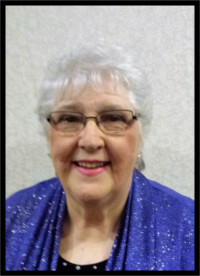 She joined Harmony Inc. in 1976, became assistant director and, for 10 years, was the director of our chorus. Due to ill health, Maria stepped down as director and returned to the assistant director spot where she remains to this day. We just can’t thank Maria enough for her dedication to our chorus.